Think Big Game. Think Rigby. - John Rigby & Co. Think Big Game. Think Rigby. to create this modern masterpiece. A century and more ago, Mauser made barreled bolt-actions for us and shipped them to London, where they were assembled, finished and proofed by Rigby craftsmen. Today, in an echo of halcyon days before the Great War, we have resumed this arrangement with Mauser for our new range of Big Game rifles, making aspirational but affordable rifles for use around the world. In its plant in Isny, Mauser is again building its much-copied but never bettered original Magnum bolt action, which it originally created in 1899 specifically for John Rigby. 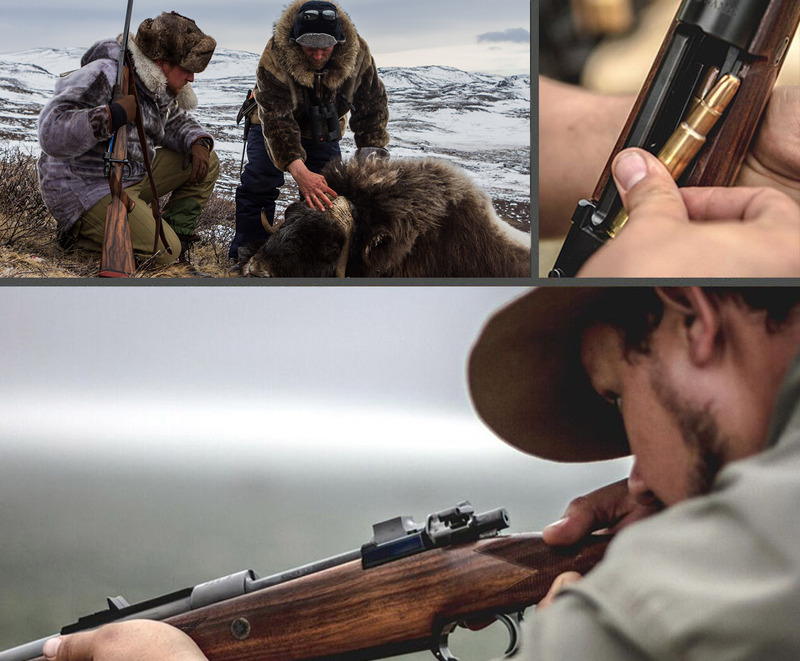 Today, just as was done a century ago, barrelled actions are supplied by Mauser, then assembled into superb hand-finished rifles by master craftsmen at the Rigby workshop in London. Like the originals, these rifles carry London proof marks. Many aspects of the original rifle, including the much admired and copied extractor and the three-position flag safety, have been retained. These outstanding rifles have classic Rigby design features, plus a robust, ergonomic stock shape with a higher comb for better fit and absorption of recoil. They also feature plasma nitriding on all exposed metal surfaces for a tough but attractive anti-glare and rust-resistant finish. The Rigby express sights have a single fixed V and two folding leaves (sighted for 65, 150 and 250 yards) dovetailed into the quarter-rib. With original pattern engraving, case-hardened recoil bars and a heat-blued extractor, these rifles represent exceptional value and are a benchmark in modern sporting firearms manufacturing. The Big Game is available on a single or double square bridge action (depending on the model), and offers professional and sporting hunters a more moderately priced alternative to our London Best custom rifles. The Single Square Bridge style is the professional hunter’s rifle of choice. Available in .416 and .450 Rigby calibres, it is designed for use with express sights only. The action is fitted with the classic three-position flag safety and a 22-inch barrel (24” on the Vintage edition). Unloaded, the rifle weighs 10 pounds 8 ounces; the length of pull is 14 ½ inches, including a recoil pad. The Double Square Bridge model is available in .375 H&H or .416 Rigby calibres. With its lightweight 24-inch barrel, this rifle is ideally suited for a telescopic sight. The horizontal Winchester-style safety catch accommodates a variety of scope-mounting systems on the machined action bridges. The weight of this rifle is 10 pounds, unloaded, and the length of pull, including the red rubber recoil pad, is 14½”. I usually take the Kamagra soft tabs, as they are not that bitter (the weekenders are of course better, as they taste like milk powder), but the normal ones do not really bother me either. I chew it and then just rinse with a little water. Due to popular demand, we have created four distinct editions within the Big Game range; the PH, the Big Game, the Deluxe and the Vintage. These are available in a selection of calibres, and can be upgraded and personalised as desired. Click on the models below or try our gun configurator to find out more. Please note that all prices shown are the UK RRP in Pounds Sterling (GBP) and do not include VAT. For recommended retail prices in other jurisdictions and currencies, including the USA, please contact us. 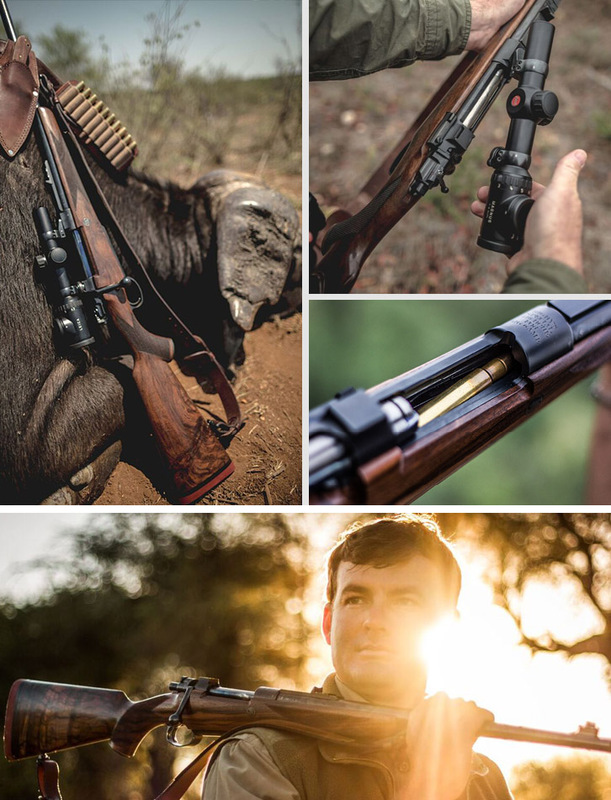 Designed to be the perfect tool for the professional hunter, the PH boasts the classic lines and rock-solid engineering of the original Big Game rifle. The original multi award-winning Rigby-Mauser collaboration combining classic design features with practical modern innovations. Built to harness the spirit of pre-1940s Rigbys, with a traditional stock shape and specifications taken from historic models in our museum. Select upgraded wood from a choice of premium quality Turkish walnut stock blanks. Additional colour case hardening is available on floor plates, grip caps, recoil bars, pins, safety housing and scope rings. We offer a wide variety of engraving options, from traditional Rigby pattern scrollwork to fully custom commissions. Have your stock shaped to suit your own personal preferences. Add a Rigby pattern peep sight or scope mounts of your choice (double square bridge models only). Complement your rifle with Big Game accessories, including Rigby pattern silent slings and gun cases.